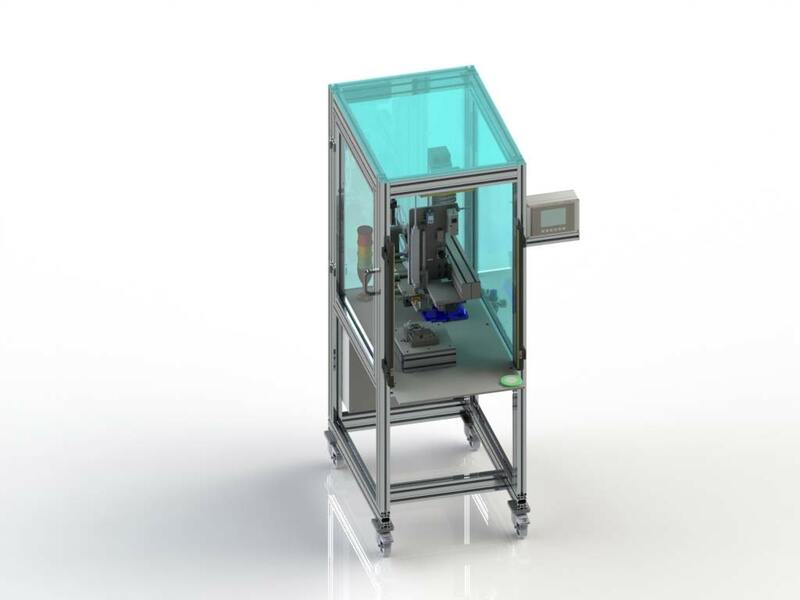 Printing System with an integrated Thermal-Transfer Printer for pharmaceutical cardboard boxes. Printing on the complete surface of the box on the front and backside. Vision System for controlling the printed information. Conveyor belt to collect the printed boxes. 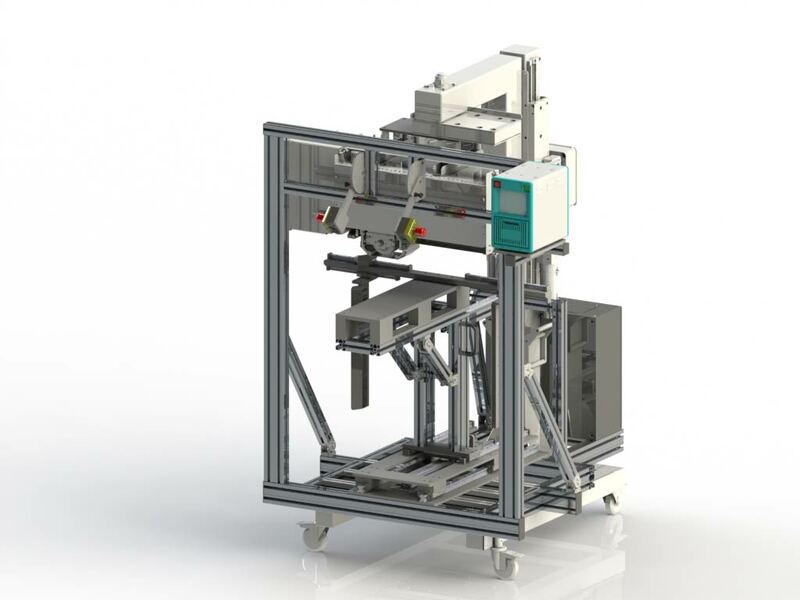 Printing System for folding boxes with an integrated Thermal-Transfer Printer. Printing area max. 95x330mm. 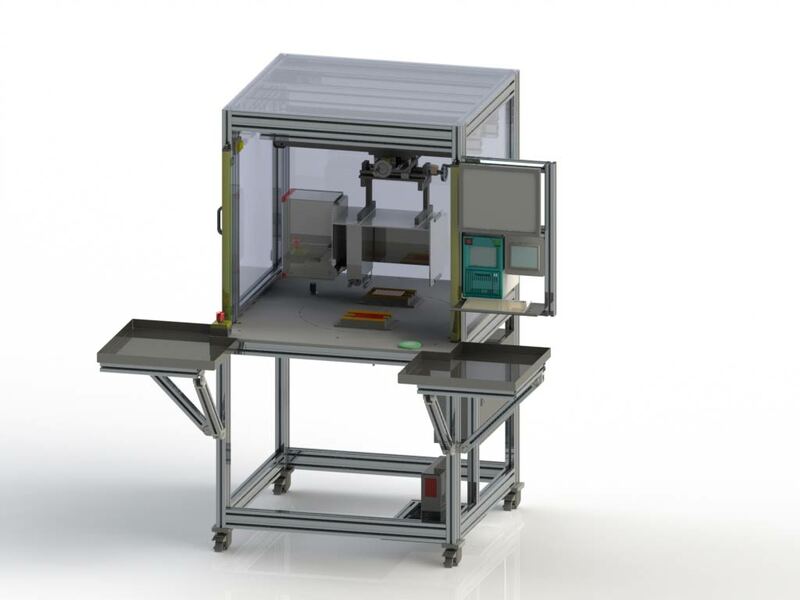 Printing System with an HP Thermal Ink-Jet Printer for cardboard boxes. Conveyor belt for nonprinted cardboard boxes for high availability. Barcode Scanner for the automatic control of printed Barcodes. Conveyor belt to collect the printed boxes. 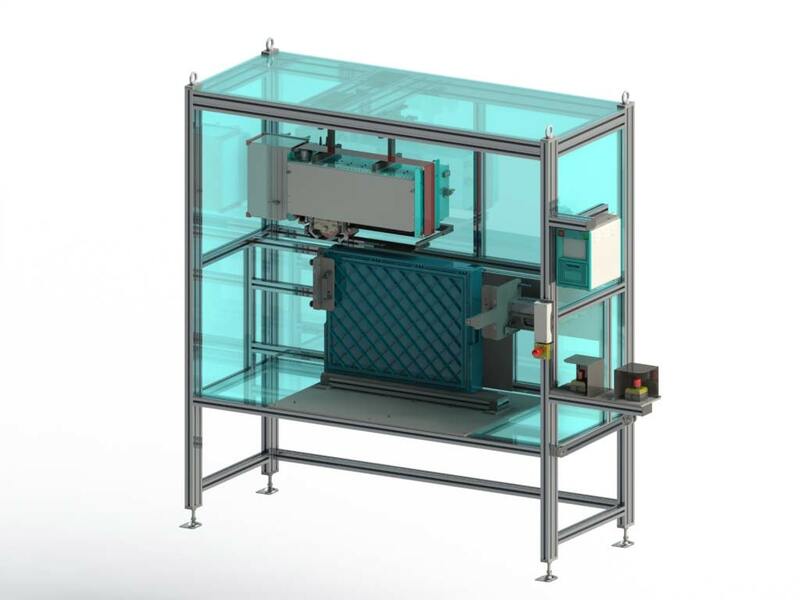 Printing System for plastic pieces with an integrated Thermal-Transfer Printer. Round Table for the movement of the products. Safety Cabinet with light curtain. 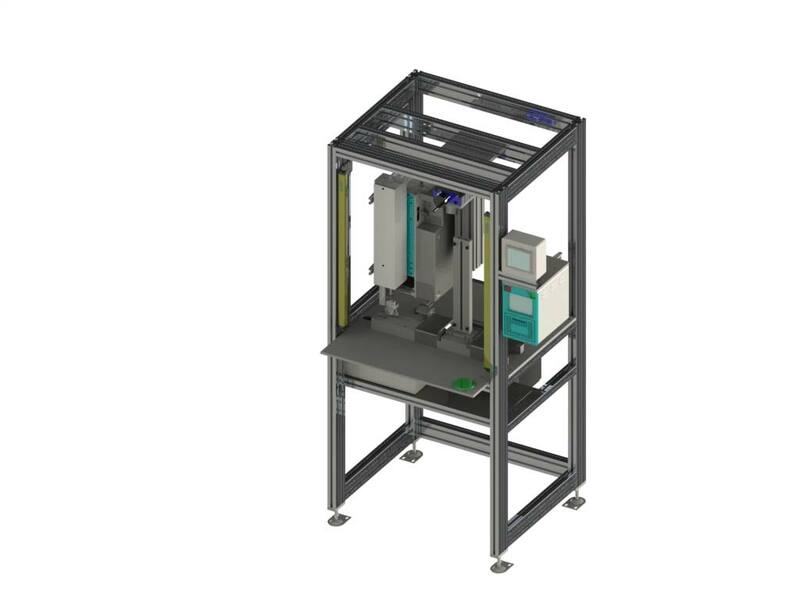 Labelling System for pallet strapping with a Thermal-Transfer Print&Apply System. Stainless Steel cabinet with automatic door. Lifting table with stainless steel base for different labelling heights. 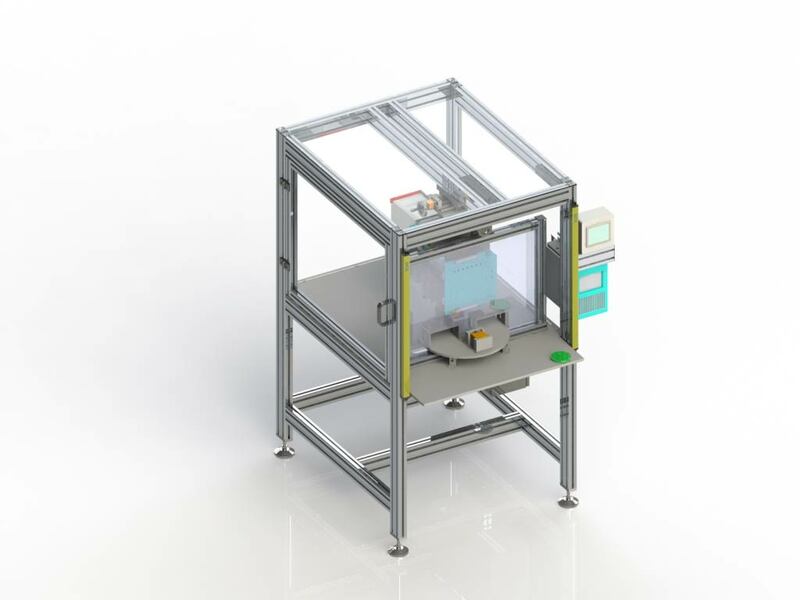 Labelling system for small plastic boxes with an integrated Print&Apply System. 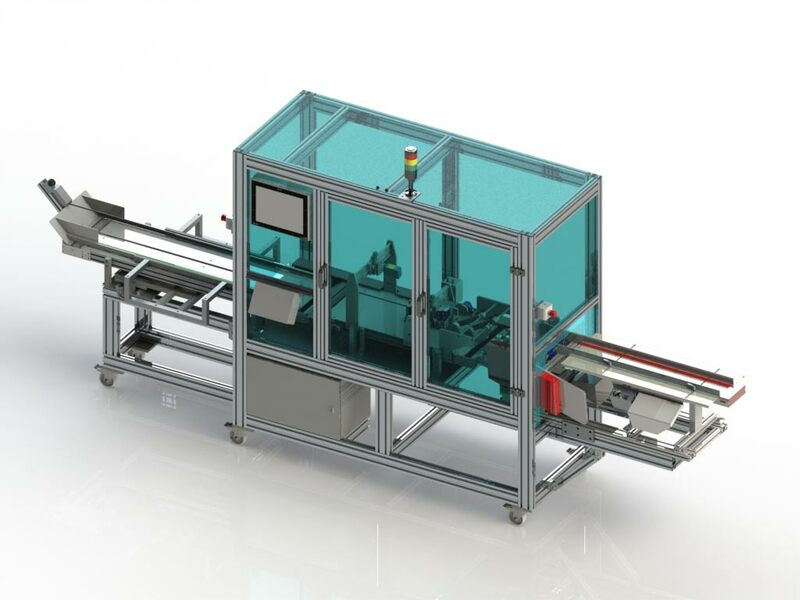 Separation and automatic feeding of the products. Safety Cabinet with light curtain. 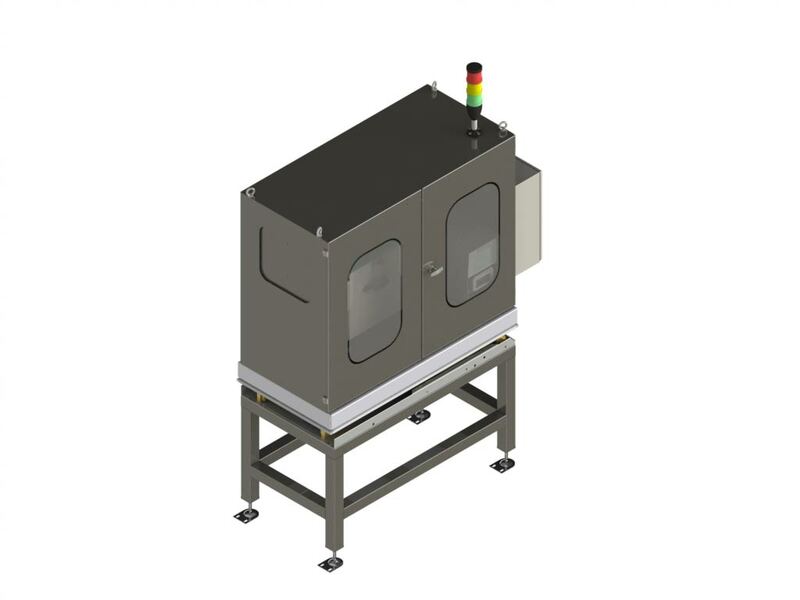 Printing System for dustbin with an integrated Thermal-Transfer Printer. Printing area max. 95x330mm. Adjustment and Settings for different sizes and printing positions. 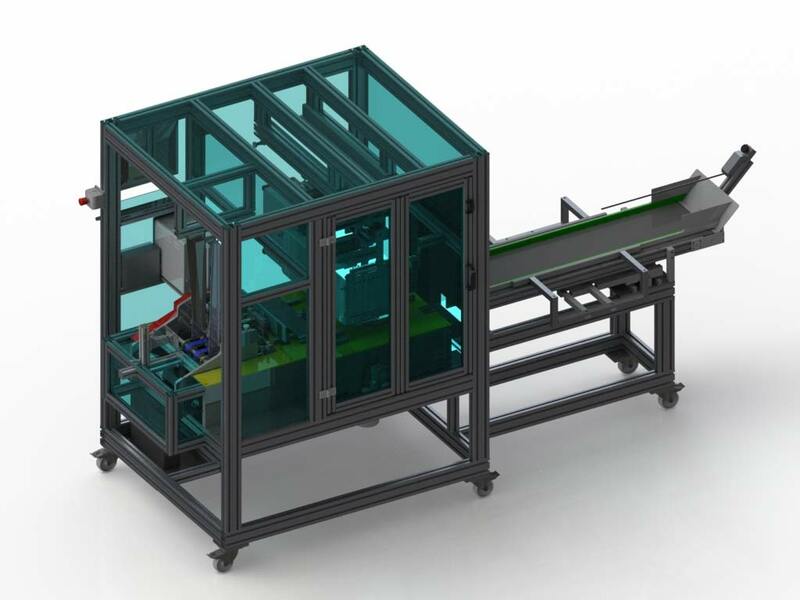 2 Line printing possible, through automatic feeding system. 2 hand operating system. Labelling System for electronic components. Round labels with a diameter from 3-10mm. 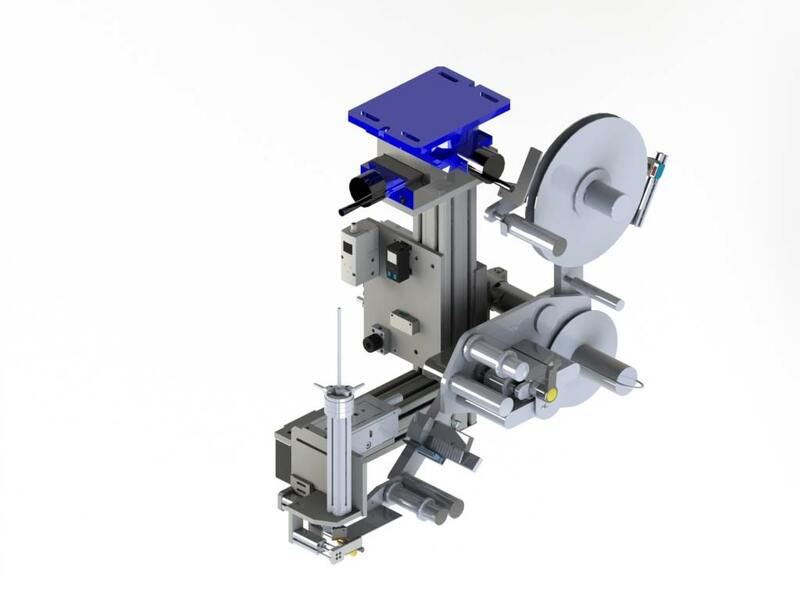 Adjustment system for high label accuracy +/- 0,2mm. Adjustable pressure of the pneumatic piston. Safety Cabinet with light curtain. Labelling system for triangle labels. Adjustment system for high label accuracy. Adjustable pressure of the pneumatic piston. Piston for 90° rotation of the label.